One of the nice things about working for Jaguar Land Rover, is that with it being such a big company, they get involved in promotional events that usually result in free spaces for employees. 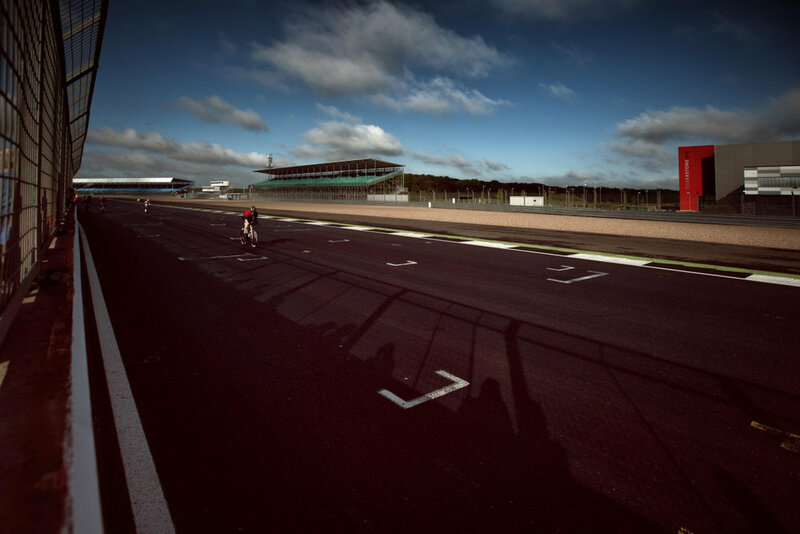 The Silverstone Time Trail Challenge is one such event, with 30 places up for grabs. After a few laps of the warm up track, I made my way over to the pits ready for the start of my wave. The track seems tight and twisty when you see it filled with F1 cars, but on a bike, the track is HUGE! Even with 250 people out on the track, there were times I was on my own. The main straight had a pretty strong headwind, so I experimented a little with really getting into a low aero tuck, to really get my head down and reduce my frontal area as much as possible. 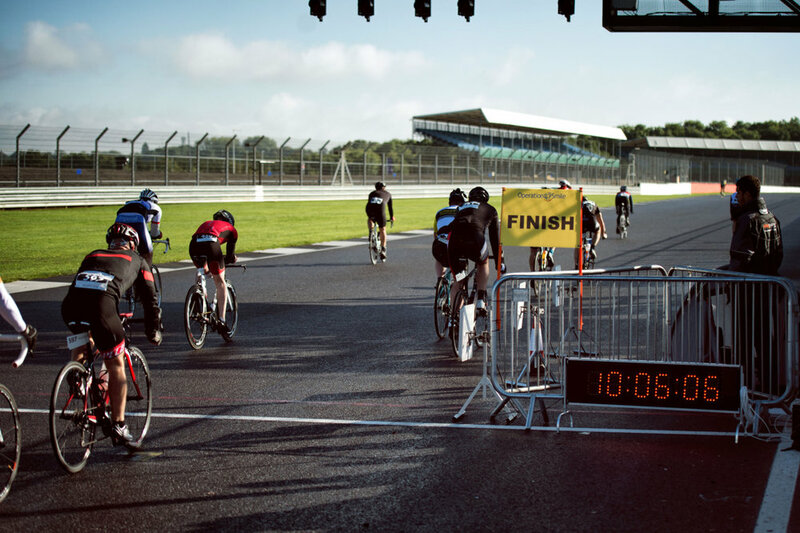 Usually, in a triathlon, there are junctions, traffic lights and tight turns that force you to brake and sit up, but with the track being so wide, I didn’t touch the brakes once! so I was in the aero position and constantly peddling. By the end of the race my neck was killing! I finished the 25 miles in 01:05:23, not too bad for my first time trial, but room for improvement.